It is always interesting how life presents little lessons in the most unexpected way. These small lessons can have huge impact however in larger applications! 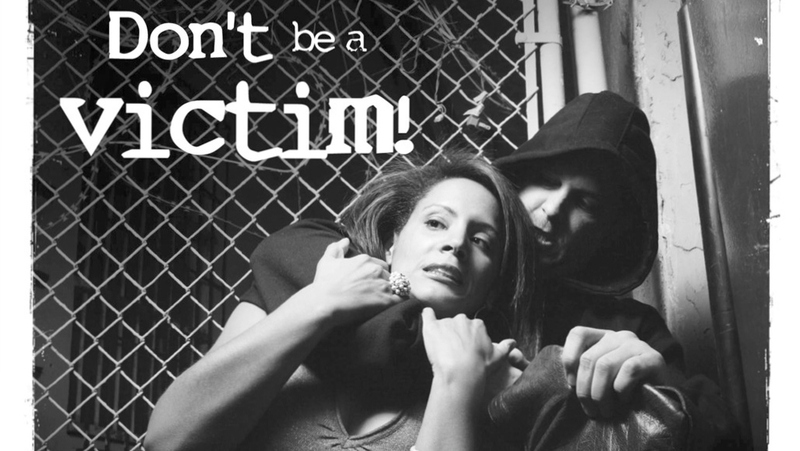 Take the reaction of someone trained versus someone untrained to a violent encounter. They can be very different reactions with life affecting consequences! Yesterday, while going to a local pharmacy to pick up medications for my wife, one of these little lessons happened with my 11 year old daughter and myself. We were walking to our vehicle when vehicles on either side of us simultaneously started to back out of their parking spaces with us between the two. My untrained daughter froze. I, on the other hand, almost ran over her trying to get out of the way and take her with me. Two opposite reactions to the same dangerous stimuli. It reminded me of what I have seen spending years doing combatives arts and working in Law Enforcement. When encountered with violent situations, sometimes those new to the profession will freeze momentarily. This is part of the OODA Loop where their brain is processing the situation and trying to Orient and get to the step of taking action. We call this an O-O Loop where their brain ping-pongs between Observation and Orientation while seemingly taking forever to get to Decision and then Action. Not everyone does this, however. Some seem to spring into Action very fast. I suspect their O-O Loop is just really small and thus extremely fast. I have seen this freezing be very serious and pose risk for fellow officers. We have seen people freeze for 20 or 30 seconds or more while a fight was taking place. Sadly, the outcome is often having to encourage the individuals to seek employment elsewhere as the risk to themselves and others is too high. This long of freeze without rendering help to a partner could easily lead to serious injury or death. I have also seen this in training. When doing firearms Simunitions training with marker rounds, we have seen people entering a room in a building search, encounter a threat, and freeze and stop in the doorway, processing the OODA Loop. This has been catastrophic! Not only does the one officer “die” in such circumstances, but the rest of the team is unable to clear the door and provide support. This is why the “Point Man” on an entry team cannot be the “greenest” team member. It is also best if that not be the most critical team member either as they are often “bullet magnets.” No one wants to be the rookie but seniority does not always come with its privileges! Movement is your friend. Moving targets are harder to engage but it also does a lot more. By forcing the brain to stay in Action mode, you limit the likelihood of the freezing. Inaction leads quickly to freezing due to inertia. We try to train people to keep moving when they encounter threats. That is one reason we train shooting while moving so much. If your firearms training is only ever done stationary, people will instinctively stop moving to engage threats. You cannot do this! You have train to where moving is reflexive and threats are hit while in motion. The major exception to this rule is of course if you are behind cover or concealment. In those cases, it may be best to stay put. Out in the open, however, you should most often be moving. Does this apply to Martial Arts? Sure! When we are attacked with a punch, kick, choke, grab, etc., we need to learn to move. That can be our feet or hands or both. The freeze gets us hit! I generally prefer to see someone take a less than optimal response than to see them take no action at all and freeze. We should never forget the word “Martial” in Martial Arts. 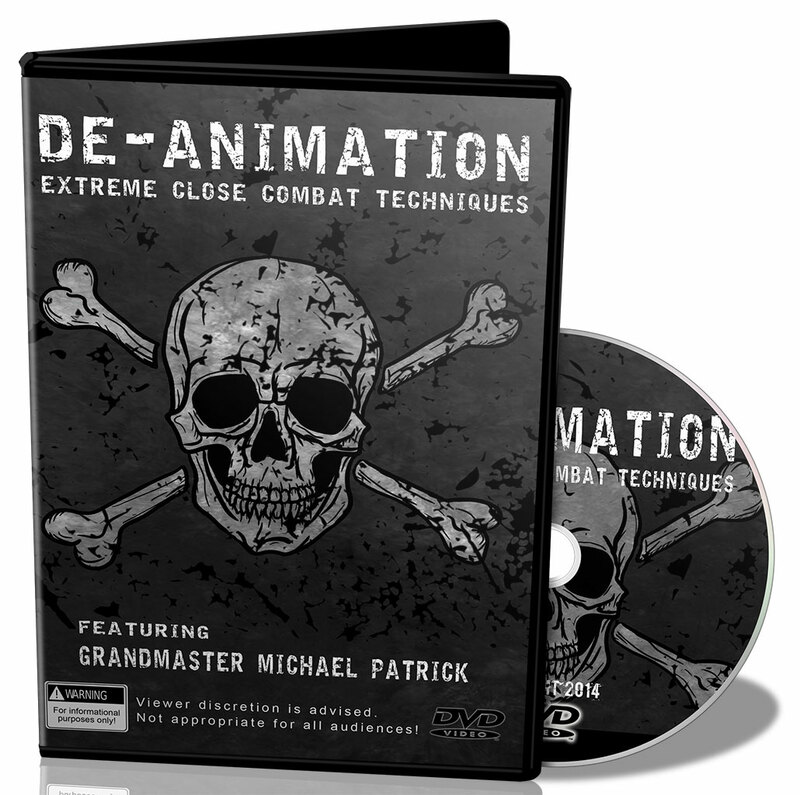 We need to study and apply the experience of real world fighters and operators to our Martial Arts training. This is a detailed explanation of how to perform a knockout made popular by Grand Master Rick Moneymaker over two decades ago. 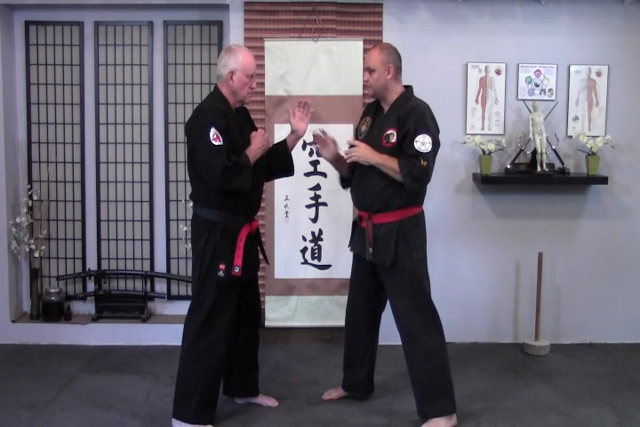 In this video Grandmaster Michael Patrick will explain in depth some of the secrets behind making this knockout effortless. The Stretch Relex is where stretching a muscle causes the excitation of muscle spindles which causes contraction of large skeletal muscles. A simple example of this is when jumping from a height and landing on the feet, the impulse in the leg muscles will likely cause a corresponding reflex of contracting the gluteal muscles in the hip which helps protect the body from injury. Stimulus of the skeletal muscle, in turn, causes the antagonist muscle to lengthen and relax. As the muscle relaxes and lengthens, the joint near the strike will not be as well protected as the body attempts to protect the core. Naturally, our job is to take advantage of this reflex. How do we do that? Well, it is quite easy. Let’s say we are striking to Golgi’s Tendon above the elbow (TB-11 for those with knowledge of acupuncture nomenclature). Naturally, the opponent will tense up as he expects the impact to his elbow region. As the muscles are about to be struct, they are contracted to resist the blow. The impact elicits a Stretch Reflex and immediately as the skeletal muscles are triggered, the relex causes the opponent’s muscles to relax and lengthen, leaving the elbow joint exposed to injury. Immediately following up with a second strike to the same target will result in damage to the joint! It really is that easy. But, please be extremely careful when working with a partner as it is unbelievably easy to dislocate elbows with this strike and do serious harm to your training partner. So, please be gentle! 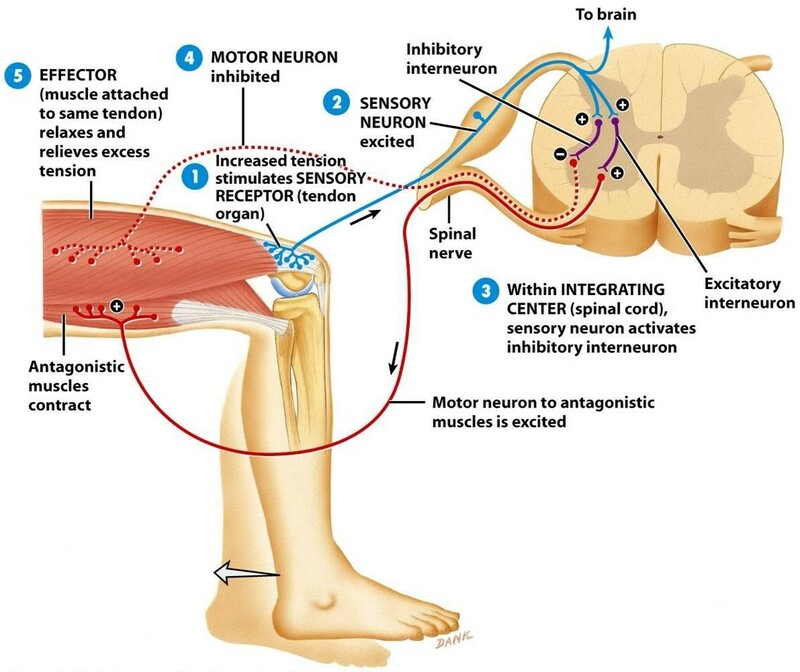 The crossed extensor reflex is also known as the Cross-body Motor Reflex and is one of the Somatic Reflexes we discussed previously. Let’s look at a practical example of stepping on a nail with your right foot. Naturally, the right leg will contract, via the flexor muscles, to withdraw the foot from the source of the pain. Ouch! At the same time, the right leg’s extensor muscles will relax to facilitate the process with minimal resistance. Meanwhile, the left leg will experience the exact opposite function and the leg will lock via the extensor muscle extension while the flexors relax. This is done to allow the left leg to maintain complete body weight. This is known as a contralateral reflex since opposite things happen on the opposite side of the body. This is possible since branched of the afferent nerve fibers cross from the stimualted side of the body to the other side via the spinal cord. It is there where they synapse with interneurons and excite or inhibit alpha motor neurons on the opposite limb. Of course, there are other stimuli occuring which cause the center of gravity to shift, but let’s not think we are neurosurgeons here and get too complicated! Now, let’s apply this to CombatiXâ„¢. When we apply a joint lock to the fingrs of the right hand, have you ever noticed that the other arm will often swing away from you? As the flexor muscles of the right arm are stimulated, the cross extensor reflex causes the extensors of the left arm to engage and it typically swings in the opposite direction. We use this natural reflex all the time to cause the opponent to rotate his body away from us and take the other arm (and fist) out of the fight to keep us from getting hammered with it! Hopefully by now, you are starting to see just how much science there is involved with CombatiXâ„¢! For many years we have focused on teaching the Eastern side of the art and thus in these training reports I have decided to spend a fair amount of time revealing the Western side of the art as well. OODA Loop is a concept created by USAF Colonel John Boyd. It is an acronym for Observe, Orient, Decide, and Action. If one can minimize the time it takes to take a correct action greatly increases one’s survival rate. Taking too much time or getting hung up in the Orientation Phase can kill you. First, let’s remember that we have dealt with the Observation Phase of OODA by discussing the Levels of Awareness. Being more aware of your surrounding, gets you through that phase much faster. As I said, most people get caught up in the Orientation Phase. This is where one must filter the information collected in the Observation Phase and process it. One’s ethics, morality, religious inclinations, and such have a tremendous impact on how long this phase takes. For example, if someone believes killing is always wrong, it will be extremely difficult to overcome this in a real-life situation. Unfortunately, many people never consider how they feel about this until it is too late. Instructors should regularly help their students confront the question of whether they are prepared to injure or even kill another individual if the situation arises. Mental imagery can be used to help one answer these questions and pre-program their minds to take action when necessary. We have also looked at the Decision Phase with the study of Hick’s Law. As you may remember, fewer decisions leads to a faster response time. The final step is the Action Phase. If one reaches this point, strikes and/or defensive actions are taken and then the process begins again. After fighting back, more Observation is needed to determine how the opponent reacted. This information must then lead to Orientation, more Decision, and likely more Action. It is also possible, for someone to get to one phase such as Orientation and decide they do not have enough information and thus go back to more Observation. This can happen at any point. It may even happen just before taking Action, thus delaying Action until more Observation, Orientation, and Decision. It should be real obvious by this point that we must learn to get through this process as quick and efficiently as possible to survive an attack. It is also interesting to note that an opponent goes through the same process. Wanna bet who typically gets through it faster? 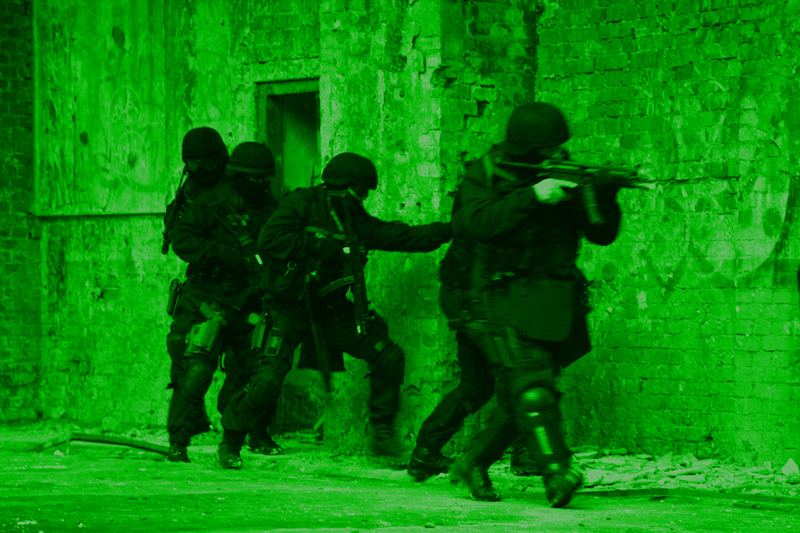 Forced Teaming is a common tactic to gain compliance over an Interviewee. What is it? It is simply making an implied connection between two parties when there, in reality, is none! Let’s look at an example. In Gavin de Becker’s book, The Gift of Fear, he describes an example of Foirced Teaming where a predator is interviewing a potential victim and she is walking to her apartment. He picks up a can of cat food which she has dropped and walks toward her. Smiling, he makes a statement such as “we have a hungry cat in there.” This is an attempt to make her feel a sort of connection with him whereby he wants to show his compassion for the cat, but more imporatantly, he wants he to see they working together toward a common goal. If this is a new concept to you, you may think there is nothing wrong with such a statement. And you may or may not be right. It depends on the situation. The reality is that everyone uses tactics like this all the time to manipulate one another. Sales associates, managers, friends, etc., all use this principle. So how do you know when it is a problem? When it manifests with other alarming principles. One by itself may not mean much, but three or four may signal things are going wrong for you. Recognizing that this is happening is the first step. For this young lady, the first thought in her mind when he said this should have been “wedo not have a cat, I do!” She may even vocalize this. Would that be rude? Perhaps. But, it may also save her life! So what if she seems rude. Unless she plans to be friends with him, she should err on the side of caution. If he is really an ok guy, he will understand and they can joke about it later. If not, then it is in her best interest. Statements that use words like “we” and “us” when “you” is more appropriate, should set off alarm bells in your mind! If this continues, and especially, if other alarms are present, it may be best to get out of there quick! Remember that a team works together and is made up of two or more people who know one another and have trust. A stranger is not part of any team you want to be on! 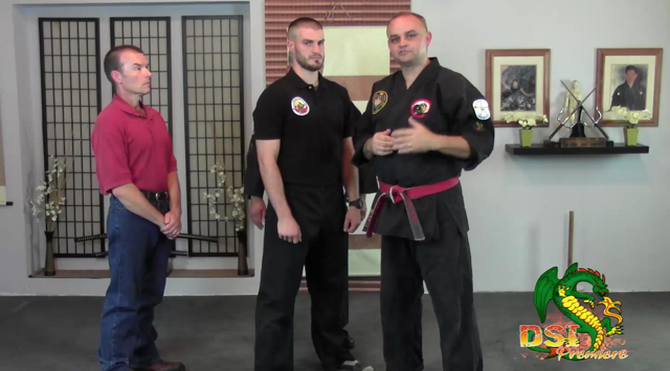 There is a common principle that many Martial Artists are familiar with called Hick’s Law. Hick’s Law is named after British psychologist William Edmund Hick. The HickHyman Law (for Ray Hyman), also called simply Hick’s Law, describes the time it takes for a person to make a decision as a result of the possible choices he or she has to make. The Hick-Hyman Law assesses cognitive information capacity in choice reaction experiments. The amount of time taken to process a certain amount of bits in the Hick-Hyman Law is known as the rate of gain of information. In the equation, ‘b’ is a constant which is determined empirically by fitting a line to measured data. Basically log2 means that you perform the equivalent of a binary search algorithm with each decision. Binary search is where each choice, cuts the remaining choices in half. The first choices are the most costly, but each choice still adds dramatically to reaction time. To measure this, Hick used a set of 10 lamps that would illuminate at random and the test subject had to press the corresponding button. He then varied the number of buttons which could illuminate from 1-10. Measuring the response time for a pre-determined number of choices led to an increase in the time to react. From this research, he formulated his equation. According to his research, the first choice adds a 58% penalty to your response time. This means that if your response time is 300ms, then the first choice could slow you down to about 474ms! That is dramatic and could mean the difference in success and failure! Thinking back to my previous experiment on response time, this could mean an additional foot or so to the non-reactionary distance! Also take a look at Fitt’s Law, developed in 1954. This is based on Hick’s research, but takes into consideration adding movement and accuracy to the equation. In these calculations, the smaller the target, the more time it takes for cognitive processing and motor movement, thus response time. 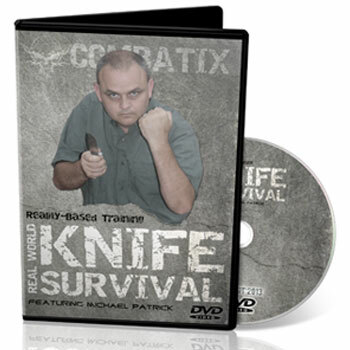 This has real application to the combatives practitioners as you can imagine. There are those who dispute their research, but the principle holds true nonetheless. Additional decisions take time to process. And time is not on our side during an attack! What can we gain from studying this kind of research? A lot I think. We know that to be successful in combat, we have to limit our choices as much as possible since decisions equal more time and distance. How do we do we limit choices? There are a few ways and we will talk about that in future training reports. Until then, remember that Hick’s Law is not just for Rednecks! I have talked previously about the Tueller Drill for firearm training. This time, we will be talking about my corollary to this drill that measures response time to an unarmed opponent striking. For my experiment, I set up a scenario where I defined a successful response as stepping forward, making a block, and then a palm strike as a “successful” response to the attack. One might argue that this could be improved by stepping, blocking, and striking at the same time, but remember the effects of B.A.R.? This is not very likely to happen as this is a complex motor movement and those deteriorate rapidly at heart rates of around 145 BPM! So, I stand by my original assumption of breaking these into separate movements. We measured the average response time of our defender doing these movements. More on that in a minute. Now, we setup a target with distances in increments of six inches. We went from one foot from the target to six feet. Then, we had people wait for a stimulus (a beep) and then strike from the various distances. Response Times were charted. These numbers would be used for a hypothetical attacker. “But wait,” you say! Response Time? Attackers are action only! And action beats reaction. Right?!??!? Well sort of! To get Motor Time for our attacker, we subtracted their Reaction Time from their Response Time (remember the equation?). This was pure action – no reaction. Finally, we just needed to graph the results and look at where the defender’s defensive response (react, step, block, and strike) equalled the attacker’s action time of simply stepping in and striking. Sound reasonable? This would be the time where the defender first has a chance of defending themself. At a lesser distance, the opponent’s strike would land on the defender before they had time to execute the response. Would you like to know what that distance is? It is more than you think! Most early Martial Arts were called either “One Meter” or “Three Meter” systems. That means that the opponent was assumed to be either one meter or three away from you as the defender. As Martial Artists became more progressive in their thinking most abandoned the idea of a 3-meter system because it was too far. Sadly, this lead to a lot of bad teaching! While it seems unreal, I found that most students needed around 4 and one-half feet to react! That is more than 1-meter but within the confines of a 3-meter system. When you understand that B.A.R. will slow you down even more, the 3-meter option sounds more likely. Think you are faster, setup your own experiment. You may get a little better if you “pre-program” your response, perform complex movements combining all steps at once, anticipating the attack, and whatever else you can think of to try to beat the system. But, remember the goal is to try to mimic real life as closely as you can. So, how does this help you? Knowing what your limit is on distance in order to get an effective response off in time, is just the first step; but a major one it is! 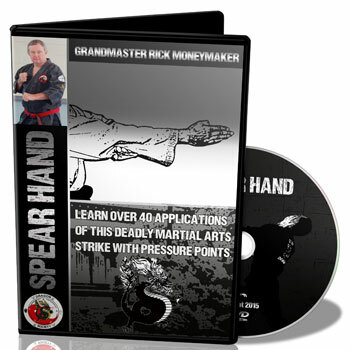 You still need striking skills; anatomical targeting; and more. Those will come with the training. Hang with me. Anything less that the 4 and 1/2 feet is what we call Non-Reactionary distance. Knowing it can save your life because you know to never let anyone get closer than this! So, you must keep an opponent at least 4 and 1/2 feet from you no matter what! When someone invades that space, you have no choice but to open distance with them, verbally de-escalate the action, or take defensive action. There are really no other options. If you cannot calm things down or get away, striking may well be your only option. That is the tough reality. 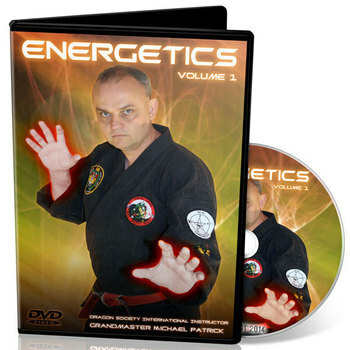 Only you can decide whether the situation warrants a physical response, and if so, at what level of force. Now that you have an idea of what Non-Reactionary distance looks like, take another look at your training. How far do you stand from your partner when you practice? Is it within the non-reactionary distance? I bet in many cases it is. So to quote Dirty Harry, “you gotta ask yourself…Do I feel lucky?” When my life, or the life of my precious family, is on the line, I don’t want to gamble. I don’t want to take chances. I want to know how to survive.